Future directions include potentially bloodless renal parenchymal incision without hilar clamping with the use of hydro-jet technology. This technology employs a high-pressure water jet to perform selective tissue dissection in a relatively bloodless manner. Spared intrarenal vessels may then be controlled with clips or bipolar coagulation, and the renal collecting system suture repaired (130). Basting et al. (131) reported the initial clinical experience using water jet resection in 24 patients undergoing open surgery for renal-cell carcinoma, nephrolithiasis, complicated cysts, or oncocytoma. The hydro-jet device produces parenchymal incision along the desired line without violating the intrarenal vasculature and collecting system. Resection time ranged from 14 to 40 minutes, and intraoperative blood loss was reportedly minimal. No significant postoperative complications occurred. Histologic investigation of tissue samples with standard light microscopy after hematoxylin-eosin staining demonstrated sharp tissue incision with no thermal alterations or deep necrosis and only a small disruption zone at the dissection margins. The authors concluded for the efficacy of water jet dissection in organ-sparing kidney surgery. Recent series regarding the use of hydro-jet during laparoscopic partial nephrectomy in the animal model showed promising results. Shekarriz et al. (130) and Corvin et al. (132) have recently performed detailed evaluations of the hydro-jet device in the porcine animal model. Moinzadeh et al. (133) staged bilateral laparoscopic partial nephrectomy without renal hilar vessel control using the Helix Hydro-jet®d in a survival bovine model. Parenchymal hydro-dissection was performed with a high velocity ultracoherent saline stream at 450 pounds per square inch (psi) through a small nozzle with integrated suction at the tip. The denuded intrarenal parenchymal blood vessels were precisely coagulated with a bipolar instrument (BIClamp®d) and transected. All LPNs were completed successfully without open conversion. Eighteen of 20 LPNs (90%) were performed without hilar clamping. Mean hydro-jet partial nephrectomy time was 63 minutes (range, 13-150), estimated blood dERBE, Tubingen, Germany. loss was 174 cm3 (range, 20-750), and mean volume of normal saline used for hydrodissection was 260 cm3 (range, 50-1250). Pelvicalyceal suture repair was necessary in five of 10 (50%) chronic kidneys. Follow-up involved biochemical, radiologic, and histopathologic evaluation at designated euthanasia intervals (one, two weeks, and one, two, and three months). No animal developed a urinary leak. Histological sections from the acute specimen revealed a thin (1 mm) layer of adherent coagulum at the amputation site with minimal thermal artifact. At two weeks, a layer of adherent fibroinflammatory pseudomembrane with giant cell reaction was seen. 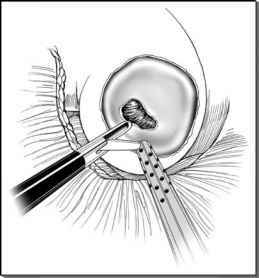 However, clinical application of such a technology in the laparoscopic environment is still awaited (134).